Valentine’s Day is fast approaching. Candy and flowers are the go-to last-minute gift for most, but if you really want to impress your sweetheart, why not give the gift of time? A night out with that special someone can create lasting memories, whose value long outlasts the Valentine’s season. For residents of Canvas Valley Forge apartments, there are ample opportunities for a night out on the town—from fine-dining restaurants to museums to concerts. Those who want to really treat their special someone this holiday are in luck, as an immense entertainment center—offering something for everyone—is just minutes from your Canvas Valley Forge apartment. Valley Forge Casino Resort is one of the region’s most exciting venues for dining, shopping, live performances and, of course, gaming. 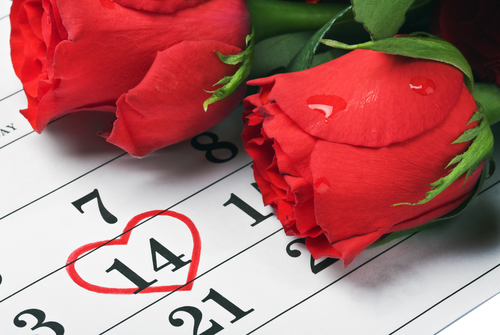 If your loved one has a passion for any of those opportunities, Valley Forge Casino Resort is a great bet for Valentine’s Day. Apart from the world-class restaurants and opportunities to try your hand at table games and slots, the venue, 1.5 miles from your Canvas Valley Forge apartment, is a magnet for quality entertainers, with several live shows scheduled every week—from musicians to comedians and everything in between. For instance, on Feb. 9, rock fans can take in “Space Oddity,” a tribute to the late, great David Bowie. Those looking for some laughs this Valentine’s Day may be interested in the weekly Comedy Club, which, on Feb. 15, features Moody McCarthy and Regina DeCicco—two performers for the price of one! The following week, on Feb. 22, catch Philly native and longtime comedy veteran Chuck Nice’s show. If intrigue is what your date is looking for, buy tickets ahead of time for the March 10 visit by Matt Fraser, a famed physic medium who will host an interactive and eye-opening show. If you don’t want to plan too far ahead, schedule a date night out to the casino any Friday or Saturday, when you can enjoy local DJs at Center Bar, or ramp up the romance with the bar’s Acoustic Wednesday performances. No matter what your special someone is interested, chances are, you can find it at Valley Forge Casino Resort!